Farmers in Tasmania considering going solar may want to take advantage of the state’s On-Farm Energy Audit and Capital Grant program. Under the program, farmers can receive financial support to engage a qualified consultant to review their energy use and then implement any recommended energy efficiency measures, such as the installation of solar panels or other renewable energy options. Up to $20,000 per applicant is available, which can be spread across an audit and purchase of capital infrastructure. For every $2 of Audit Grant funds provided, successful applicants must contribute at least $1. For every $1 of Capital Infrastructure Grant funds provided, the applicant must contribute at least $1. Program funding of $750,000 was to be spread over three years from 2018/19 to 2020/21. According to the Hodgman Government, $225, 000 in grants have already been provided. With the funding for 2018/19 already close to exhausted and continuing strong interest in the program, the funding allocation for 2019-20 has brought forward into this financial year. Energy audits are necessary to secure the capital grants cash. The State Government suggests contacting the Energy Efficiency Council or Irrigation Australia for advice on locating a suitably qualified consultant. Suggested questions to ask a potential consultant are listed in the program guidelines. Among the eligibility criteria for the grants is a farm business must be operating as either a sole trader, trust, partnership or private company and have an annual sales turnover of $5 million or less. Further information on the On-Farm Energy Audit and Capital Grant program can be found here. The Program is a key part of the Hodgman Government’s goals of boosting the competitiveness of agriculture in Tasmania and increase the annual farm gate value of the sector to $10 billion a year by 2050. According to Energy Minister Guy Barnett, last year the food sector in Tasmania was worth a combined $4.1 billion, with around three-quarters of production sold interstate or overseas. “With more than a quarter of Tasmania’s land area committed to agriculture we need to get right behind our farmers to support our farming future,” said Minister Barnett last year. 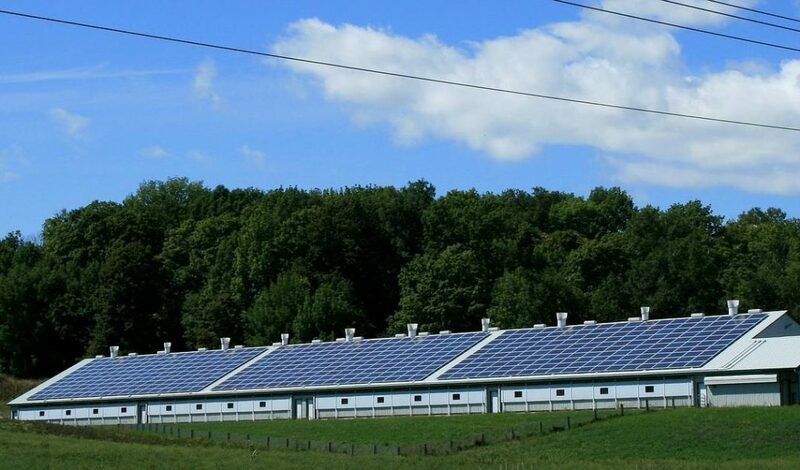 With energy costs always a concern for farmers and extensive shedding on many properties, farms can be great candidates for commercial solar power. Currently, a good quality commercial solar installation costs around $1,000 – $1,300 per kW installed in Australia, so there’s the potential for farmers to install a significant system under the Tasmanian Government’s program without having to spend a lot of their own cash. Farmers are also eligible for Australia’s major solar subsidy, which will reduce the cost of a commercial-scale installation by many thousands of dollars. 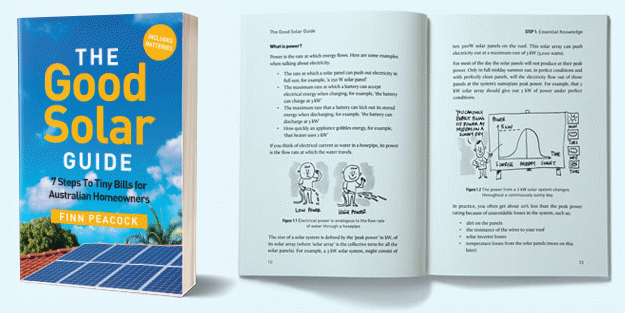 I am interested in some information regarding a letter that was recently received from ‘The Solar Group’ looking for homeowners to buy into a scheme involving the Alpha ESS Goanna battery. They indicated that it was revolutionary new technology and would significantly contribute to the cost of the battery and the homeowner should call the listed number and quote the listed reference number. Further investigations resulted in The Solar Group indicating that the battery was worth $10000 and they would contribute $4000 towards the purchase in exchange for access to ongoing monitoring and 5 years maintenance. This seems a little strange to me – or am I just too sceptical?? It definitely pays to be skeptical. The smallest Alpha ESS Goanna battery is a 2.9 kilowatt-hour battery. If you pay $6,000 it will never save you enough money to pay for itself. With very optimistic assumptions it might save you $200 a year. They may be offering you a larger unit but for $6,000 it’s likely to only be 2.9 kilowatt-hours. Even if it was a larger unit you’d still be likely to lose money at that price.